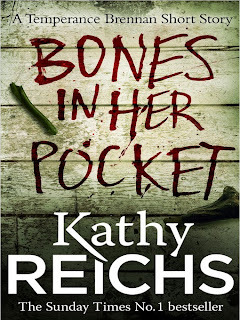 Though I have been a great fan of Bones the tv series (until the latest series where I gave up) I have never read any of Kathy Reichs's books. So when this short story was offered on Netgalley I decided here was my way in to the Temperance Brennan series which now numbers sixteen. Bones in Her Pocket is set in North Carolina and Dr Temperance Brennan is called in when some bones are found washed up on a lakeside. This is the second discovery of bones in this area and could be related to the disappearance of a female student. It is Brennan's job to determine cause of death and an identity of the owner of the bones. Also near the lake are a power station, an environmental activist and a bird rescue centre all of which play a part in solving the murder enquiry which ensues. This is a short story, hard to say exactly how many pages (I read it on a Kindle) but at least 50, and so it is a proper tale with several characters, some interrogations and a dramatic reveal at the end. I enjoyed it once I got used to the author's very clipped style. And in fact I've downloaded the latest book in the series, Bones of the Lost. 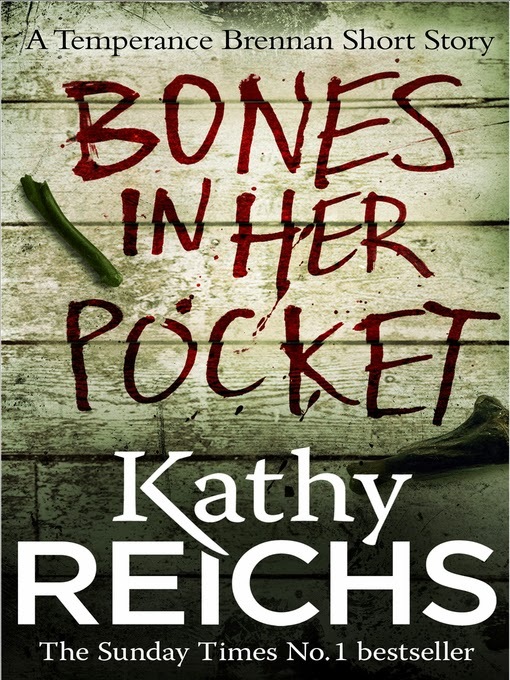 I would recommend Bones in Her Pocket as a good way to sample the Brennan series.